One of the Daily POP Crosswords app’s best features is the level of involvement from topnotch constructors. We’ve assembled one heck of a team when it comes to creating terrific, exciting, fresh themed crosswords. And over the next few weeks, we’ll be introducing you to some of them. Some names you may know, some you may not, but they’re all doing amazing work on these puzzles and deserve a little time in the limelight. 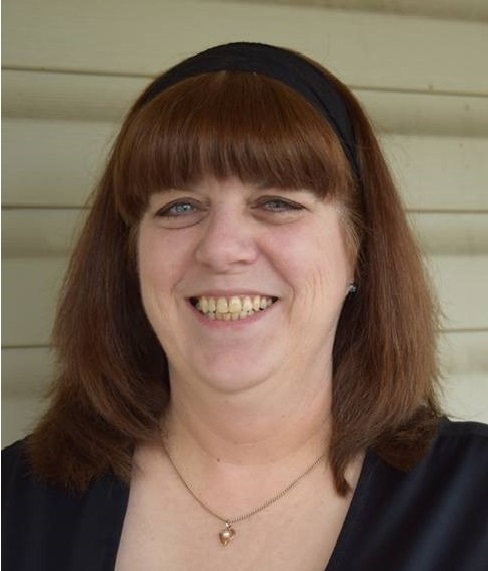 In this installment, allow us to introduce you to constructor Robin Stears! How did you get started in crosswords? I’ve been constructing crossword puzzles for about 25 years, since my first daughter was born and I had to figure out a way to work from home. I’ve always enjoyed solving puzzles, ever since I was a child. Constructing puzzles is even more fun. My puzzles have been in many Penny Press and Dell magazines – they’re my favorites – and also in The LA Times, Games Magazine, and of course, the Daily POP Crosswords app. The restrictions, like not being able to use any crosswordese or even slightly difficult words, adds a bit of a challenge, which of course makes it even more fun! Personally, I prefer easier-to-medium puzzles rather than very difficult ones. I think puzzle solvers should have a good time and maybe learn something new. There’s nothing more frustrating than not being able to finish a crossword – and there’s nothing more satisfying than filling in that final square with the very last answer. 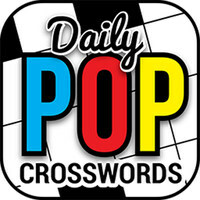 What do you enjoy about working on Daily POP Crosswords? The best thing about Daily POP Crosswords is what a joy they are to create. I’m a pop culture fan from way back in the day when I used to read comic books and go to Star Trek conventions, and I still love watching movies and TV shows, listening to music, reading books, and checking out the latest fashions. I still go to two or three pop culture conventions every year. Recently, I decided to go back to college to finish the degree I started thirty-some years ago, and I find that hanging out with young people helps keep my pop culture knowledge up-to-date. Between classes, we hang out and spill the tea, and mentally I’m taking notes for future crossword puzzles. Is there a particular theme day that appeals to you most or that you enjoy working on? 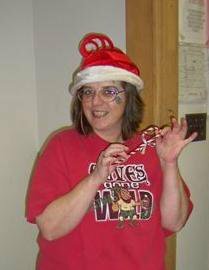 I don’t have a particular theme day that I love above all others – I love all kinds of pop culture. I have so much fun deciding who or what is “worthy” of a crossword tribute, and then researching why they’re famous. I do like to celebrate big anniversaries, like the fifty-year birthday that both Hawaii Five-O and Laugh-In will celebrate next year. So far, my favorite Daily POP Crosswords puzzle is the one I made for Thanksgiving about the Macy’s parade balloons. I learned so much about the balloons, and I was delighted to pass along all the trivia I discovered to my fellow parade fans. I hope everyone enjoyed solving it as much as I enjoyed constructing it. A huge thank you to Robin for her time! Be sure to keep your eyes peeled for her puzzles in the Daily POP Crosswords app, free to download for both iOS and Android users! Cross Worlds with Crosswords (and Other Puzzles)! For years now, we’ve been collaborating on puzzle-themed hashtag games with our pals at Penny Dell Puzzles, and this month’s hook was #PennyDellPuzzleGeography, mashing up Penny Dell puzzles and countries, cities, landmarks, tourist spots and more! Examples include Stepping Stonehenge, Sri Linkwords, and Istanbul’s-Eye Spiral! Angkor What’s Left? / What’s Left Bank? There were a few submissions that deserve their own section, as several of our intrepid puzzlers went above and beyond. One of my favorite locations to visit is Anagram Magic Square, where if you take your PLACES, PLEASE, you can ESCAPE A SPELL to anywhere on earth. You can travel to PARIS in PAIRS, or dine on ALPHABET SOUP at an UPBEAT L.A. SHOP. And whether you’d rather see a SLICK DUBLIN BOG or a GLIB LISBON DUCK, you can find it in the BUILDING BLOCKS of this amazing place. Have you come up with any Penny Dell Puzzle Geography entries of your own? Let us know! We’d love to see them! 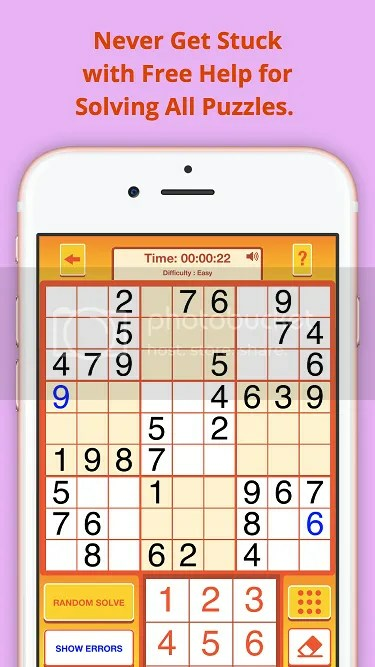 Reminder: Sudoku App Contest Ends Tomorrow! How do you enter the contest? Well, it couldn’t be simpler! Just click this link or the picture below to sign up for our PuzzleNation Newsletter! Not only will you be entered into the contest to win an in-app promo code for the Penny Dell Sudoku app, but you’ll also get all of the articles, updates, and terrific bonus content from our Newsletter, delivered right to your mailbox! It’s a win-win and completely free! Good luck and happy solving, fellow puzzlers and PuzzleNationers! Contest details: No purchase necessary to enter. One entry per person, please. We are not responsible for entries that are not received. Entries must be submitted by 11:59 PM on November 24, 2016. The information you provide will only be used to notify winners and be entered into the PuzzleNation newsletter email mailing list. Must be 18 to participate. If selected as winner, you must respond to notification email or phone call with mailing address to receive prize. Welcome to the PuzzleNation Blog 2016 Holiday Puzzly Gift Guide! We’re so excited to be bringing you our biggest ever gift guide! There are so many tremendously fun and puzzly products to share with you this year. We just might be your one-stop shop for all things puzzly! This guide is broken down into categories for ease of searching. We have puzzle apps, puzzle books, downloadable puzzles and puzzles by mail, jigsaw puzzles, puzzle games, board games, card games, party games, and trivia games. We’re sure you’ll find the perfect gift for any puzzler on your list! The Penny Dell Crossword App, available for both iOS and Android users, not only features bundles of terrific puzzle content, but it offers a free daily puzzle to all solvers! 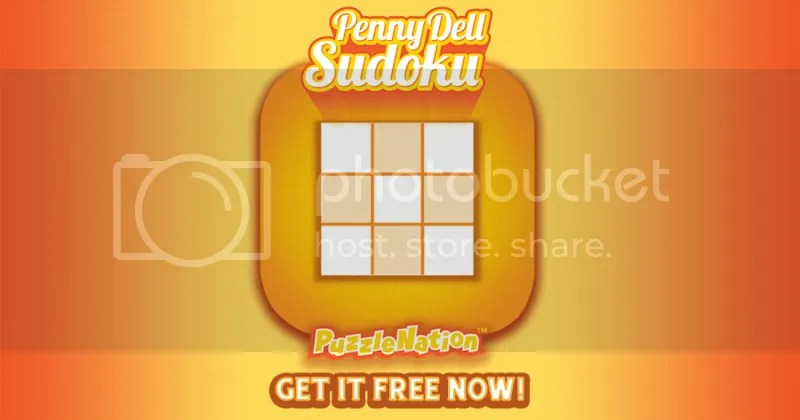 Our new Penny Dell Sudoku app is also available for both Android and iOS, and offers four different difficulty levels: Easy, Medium, Hard, and Expert! Whether you’re a newbie to Sudoku or a master, you’ll find the right puzzles for you! You can check out our full line of puzzle apps on the PuzzleNation website! Pencil-and-paper puzzles are alive and well, and we’re happy to share some of our favorites with you. Our friends at Penny Dell Puzzles have put together some outstanding holiday collections with puzzles galore to be solved! Maybe you’re looking for one kind of puzzle, like Colossal Grab-a-Pencil Book of Logic Problems ($10.50) or the Fill-In Value Pack ($8.95). Or perhaps you like some variety in your solving, and you’d prefer the Stocking Stuffer Pack ($9), complete with pencils to keep you puzzling, or the Super Grab-a-Pencil Pocket Puzzle 4-Pack ($24.50). Or you’d like to unwind with their Coloring Book 4-Pack ($17.95) and sip some coffee from a vibrant Word Nerd mug ($9.50). Either way, the folks at Penny Dell Puzzles have got you covered. And be sure to check out their deals on Facebook and Twitter throughout the holiday season. 15% off all sorts of puzzle bundles and books! And while we’re on the topic of puzzle books, some of the best constructors working today have released their own books for your perusal! And with New York Times and Los Angeles Times crosswords to their credit, you’re sure to find some quality puzzlers within these pages! Many top constructors and organizations market their puzzles directly to solvers, so between by-mail offers, subscriptions, and downloadable puzzle bundles, you’ve got plenty of quality choices! For a next-level jigsaw challenge, Puzzometry is tough to top. These beautiful pieces can be combined in seemingly endless combinations, and yet, there’s only one solution. Available as Puzzometry ($16), Puzzometry Jr. ($11), and Puzzometry Squares ($16), you’ve got three distinct challenges appropriate for different ages! These one- and two-player puzzle games are perfect to train your brain and keep you guessing! ThinkFun meshes learning and gameplay with three logic games ready to challenge kids and adults alike. Whether it’s the Rubik’s-inspired twisty-turny solve of Back Spin ($14.99), the Sudoku-style deduction of Clue Master ($12.99), or the electrical grid-building challenge of Circuit Maze ($29.99), young minds and older minds will soon be in fighting trim for puzzling! 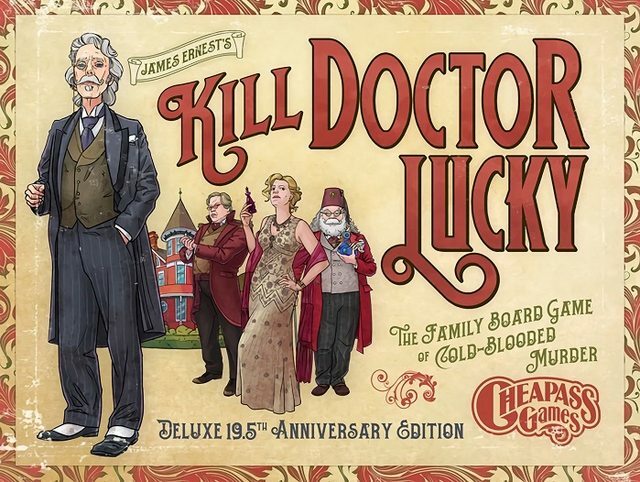 Some of the puzzliest games on the market today are being made by top-flight board game companies, and we’ve got some marvelous games that will appeal to puzzlers of all ages! Thank you to all of the constructors, designers, and companies taking part in this year’s holiday puzzly gift guide! And thanks for visiting PuzzleNation Blog today! Be sure to sign up for our newsletter to stay up-to-date on everything PuzzleNation! Welcome to the PuzzleNation Blog 2015 Holiday Gift Guide! This guide is broken down by age group, so we’re sure you’ll find the perfect gift for puzzlers of any age on your list! Most puzzle books would probably fall in the Age 9-10 and Up range, but oftentimes, the cluing is geared toward an older audience, so to avoid confusion, I’ve bundled the majority of the puzzle books here. And that doesn’t even cover the many great by-mail and downloadable puzzle books and sets available this holiday season! And naturally, PuzzleNation offers terrific puzzle apps for the discerning puzzle solver! PuzzleNation 2016 Holiday Puzzly Gift Guide: Grab Bag! Welcome to the PuzzleNation Blog 2016 Holiday Gift Guide! This guide is a grab bag of all sorts of trivia games, puzzle games, card games, puzzle books, party games, and board games, the perfect random assortment for any puzzle fan you need ideas for! We’re sure you’ll find the right gift for any puzzler on your list! Naturally, you’ll forgive us for starting off with a few links for a pair of familiar puzzle apps! And we’ll follow up with some puzzle books before we get into the grab bag of games, puzzles, and other terrific holiday treats! And here is our grab bag of puzzle games and products galore!